PHYSICAL EDUCATION TEACHER, full-time, grades 9-12, long-term substitute effective 5/15/19-6/7/19, River Falls High School, River Falls WI Schools. To be considered, apply online at https://wecan.education.wisc.edu/#/ (certified vacancy ID 57209), no later than 5/10/19. GROUNDS WORKERS, 30-40 hours per week including weekends depending upon weather and need, $10.43 per hour, begin ASAP and end approx 10/31/19, River Falls WI Schools. To be considered, apply ASAP online at https://wecan.education.wisc.edu/#/ (support vacancy ID 53260). 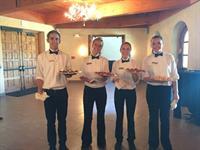 Continuing a 37 year tradition of excellent food and great service, we have immediate server openings. Now hiring Servers and Server Assistants. Training provided! 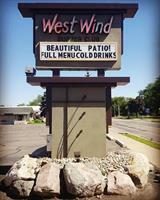 West Wind Supper Club was named Large Business of Year by the River Falls Chamber of Commerce. We offer a positive work environment, competitive pay and great tips! Flexible schedules allow you to work around school or other job. Apply today! Visit us during regular business hours to complete an application. Do you have a welcoming smile and enjoy creating memorable experiences? If so, then we want your smiling face to be the first one our guests see when they visit our restaurant! We were named Large Business of Year by the River Falls Chamber of Commerce and offer a positive work environment, competitive pay, employee discount, and flexible schedules to work around school or another job. Apply today! Visit us during regular business hours to complete an application. Our kitchen team is growing! 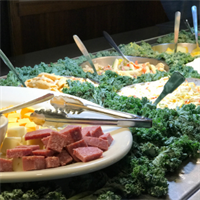 Join us as a line cook, preparing high-quality and consistent dishes that have made us a favorite among our customers for nearly 40 years! Ideal candidates will have back of house cooking, saute cook, or grill cook kitchen experience, along with a positive attitude and team-oriented spirit. Stop by West Wind Supper Club at 709 N Main St, River Falls, to complete an application and learn more!